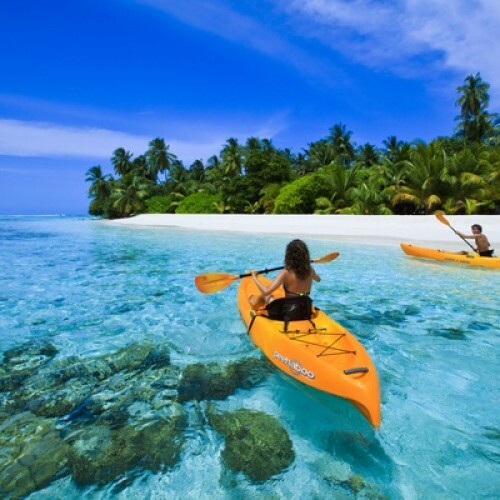 Maldives is located on the equator an hour and a half’s flight southwest of Sri Lanka and it is made up of 1190 coral islands, forming an archipelago of 26 major atolls. Faru, ring-like coral formations enclosing an azure blue lagoon surrounded by dazzling white talc sand, form the atolls and give the Maldives its unique paradise-like appearance – a string of pearls scattered over the deep blue Indian Ocean. Maldives is famed for its rare underwater beauty, with the bluest of waters teeming with astonishing soft corals and fish sparkling in a profusion of psychedelic colours around the stunning reefs. With incredible underwater visibility, warm ocean temperatures throughout the year, and some of the best dive sites, sun-drenched beaches and spa resorts in the world, Maldives offers you a truly unrivalled tropical island experience. Sun, sea and sand, a thousand ‘Robinson Crusoe’ islands, lagoons with infinite shades of turquoise blue, dazzling underwater coral gardens – a perfect natural combination for the ideal tropical holiday. Sun, sea, sand and kids clubs all make for a happy family holiday! Coupled with family villas and price reductions for children under 12, these resorts really do look after your nearest and dearest. Maldives is possibly one of the most exotic locations anywhere in the world to take your family for that extra special beach holiday, and also one of the most relaxed. With temperatures of 30C all year round, and dazzling clear blue skies and welcoming calm seas during the season, where better than Maldives to spend a luxurious and pampered beach time with your family. Where better to spend your special time away together than on an island in Paradise! Luxury villas, pampering spas, private dining and complimentary extras are some of the enticements on offer to honeymooners in Maldives. It is the perfect place to indulge yourselves, whether enjoying lunch on a deserted island or dinner on a sandbank, lazing by your private pool or taking a dip around a stunning coral reef, being pampered with soothing spa treatments or relaxing in your luxury villa. Offering world-class international cuisine made from the freshest of ingredients, fine wines, and immaculate, understated service, Maldives is second to none for your ideal honeymoon getaway. Extending out into the Indian Ocean with direct access to the inviting waters below, water villas have uninterrupted and surreal views to the horizon from private balconies, offering you a secluded retreat on a tropical haven. For many, staying in a water villa in Maldives is the epitome of luxury and living the dream. 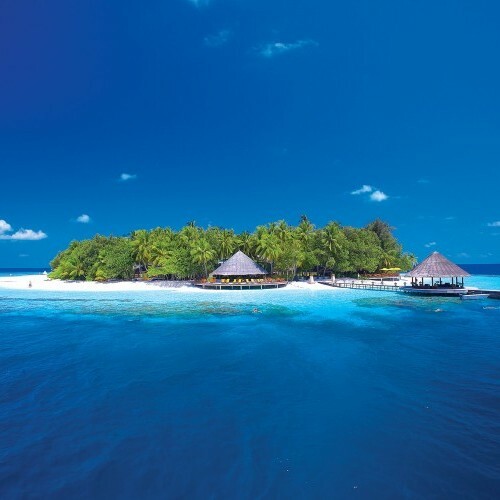 With the warm ocean lapping gently around the stilted villas inviting you in and panoramic vistas under a clear blue sky lit up by the radiant sun, Maldives is Paradise on earth! 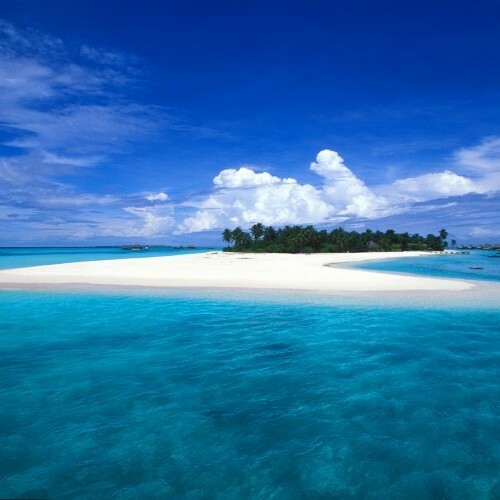 The proximity of Maldives and Sri Lanka makes for an ideal twin tropical island holiday or honeymoon. We have created some taster itineraries so that you may experience the best of both islands without missing out on their many highlights. Or you may like to use them as a starting point to plan your own trip. The choice is yours!